Pune : FC Pune City will look to put an end to their winless start in this edition of Indian Super League (ISL) when they host Kerala Blasters FC at the Shree Shiv Chhatrapati Sports Complex Stadium here on Friday. Pune City started off with an away draw against Delhi Dynamos and have since lost all three of their fixtures. Coach Miguel Angel Portugal has also lost his job and the onus of turning around their fortunes is now in the hands of interim coach Pradyum Reddy. Reddy's attempt to get the team back on track ended in a 2-4 defeat at the hands of high-flying FC Goa. To make matters worse, Diego Carlos Oliveira was sent off in the second half and will miss the match against Kerala. "With our league position, every game is a must-win game for us. If you pick up a win, you can make a significant jump up the table. Fortunately, other teams haven't picked up too many wins. So that gives us some hope," said Reddy. The visitors aren't too well off either, with three consecutive stalemates affecting their playoff aspirations, even though they are still unbeaten. "Kerala are unbeaten and are definitely going to be tough to break down. I think we've got some plans for them," claimed Reddy. Kerala Blasters coach David James' task will be to ensure that his side leaves the pitch with nothing less than three points. After a good start against ATK in the season opener, the Kochi-based team has failed to grab a win in their last three matches. 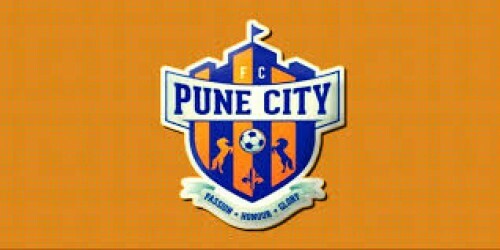 "Pune City have got some talented players. They have one of the best Indian goalkeepers in the ISL (Vishal Kaith). If you look at their strike force, they have a lot of potential. So we need to score more than one. It is important for us to score more goals and hopefully, keep a clean sheet," said the former England goalkeeper. The English coach will want to convert the draws into wins sooner rather than later after a difficult campaign last season that saw Kerala register the most numbers of draws (seven) and ultimately finish sixth on the table. Pune's trump card is their lethal attack but both Marcelinho and Emiliano Alfaro have struggled in front of goal. Both players scored their first goal of the season against Goa in their last match which could be seen as a sign of a turnaround in fortunes for Reddy's men. At the other end, the foreign strikers of Kerala Blasters, Slavisa Stojanovic and Matej Poplatnik, have impressed with three goals between them from four games and CK Vineeth has made a considerable impact off the bench with two goals so far.